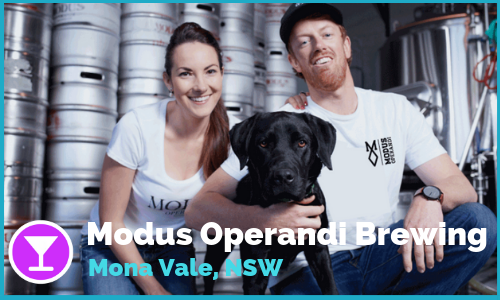 This super cool and vibrant dog friendly bar is located in an industrial setting in North Melbourne! 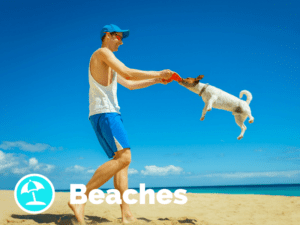 Go and enjoy the chilled vibes with your dog. Dogs are welcome to join you for a drink at the outdoor area at this dog friendly establishment Northcote! The large, sunny courtyard out front is home to a vintage airstream caravan where the talented chefs dish out mouth-watering, beer friendly food. Here, sit with your mates, enjoy the sunshine and rocking tunes while sampling a beer tasting paddle. Best of all, the courtyard is dog friendly so you’re four legged friends can join in on the fun! The iconic dog friendly pub Fish Creek Hotel (1939) is a magnificently imposing Art Deco building located in the heart of Fish Creek. Look for the giant fish sculpture by Colin Suggett mounted on the roof. Fish Creek is an Accommodation Hotel catering for both locals and visitors from around Australia along with the rest of the world who come to see the natural beauty of Wilson’s Promontory and the broader South Gippsland area. Dogs are allowed in the beer garden. Dog friendly bar in Elwood that allows dogs off leash in the beer garden. They even have a paddle pool for visiting doggies to cool down. Local friendly resident greyhound lets the staff know if anyone is getting too aggressive or loud, in which case you’re out to the closest park (this goes for both dogs and their owners)? Dog friendly bar General Assembly welcomes dogs of all sorts and types to pay a visit with their owners. They have a huge outdoor space for doggies to play in, both in and under cover and they always stock dog bowls for them. Staff at the dog friendly Boaties love when dogs come visit them. They have plenty of space for them, both undercover and outside. They make sure to always have dog bowls around so that their four-legged friends can grab a drink whenever they like. Riverland Bar encourages dogs of all types to visit their dog friendly bar. There is lots of space outside for them, both in and out of cover. Plenty of water bowls are kept around. There is lots of shade and cover for dogs in this dog friendly brewery. Dogs are welcome on the deck & in the beer garden with their owners! Customs House is a dog friendly bar in Williamstown. Dogs are allowed in the protected outside areas including the small verandah at the front of the building. The staff greet furry friends with water bowls on arrival. Rooftop Bar is a dog friendly bar with one of the best views over Melbourne your dog will ever have. Dogs are permitted at the Rooftop bar as long as they are kept on a leash at all times and owners must clean up in case of any accidents. Although high up in the skies, there’s plenty of shade. It’s not recommended that dogs visit after dark as the place gets busy and loud! Dogs are welcome outside in this dog friendly bar in Windsor. There is adequate cover and a water bowl for not only dining pooches but any pups on the long trek along Chapel St. Yellow Bird always encourages them to stop for a quick drink. 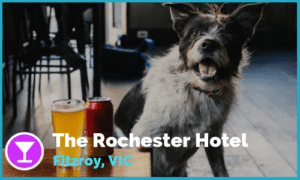 Yarra Hotel is a dog friendly pub in Abbotsford. Dogs are welcome in the undercover beer garden and there is plenty of water bowls available for dogs. Dog friendly bar Pilgrim loves when dogs come to visit them! 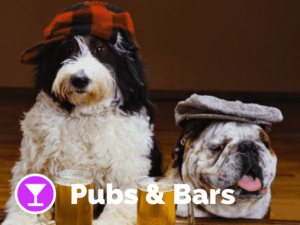 This very dog friendly bar has plenty of space for dogs in the outside area, which is undercover and means they can come visit in rain or shine. Pilgrim provides dog bowls for the four-legged friends. Lulie Street Tavern has been a dog friendly pub since DAY 1! Dogs are allowed inside and out in the courtyard. There’s water not only for the pups in the venue but also any little paws passing by near the front gate. This dog friendly pub in Brunswick welcomes their four legged friends in their beer garden which is fully covered and have multiple water bowls. The chef is also known to come out with meaty treats. Doggies are only allowed outside in this dog friendly bar but there is always plenty of water for them and often serious amount of pats and occasional treats. Outdoor area have some tree shade! The B.East gets a lot of different good boys and girls through all the time and loves sharing their pics on social! 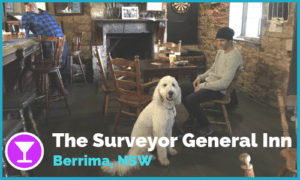 The Farmers Arms is a country style dog friendly pub in Daylesford. Dogs are welcome outside at the beer garden which has both shade and sunny areas to hang around. Water bowls are readily available! “We love when our four-legged friends come to visit!” Bang Bang is a dog friendly bar. They are welcome outside, where there is plenty of undercover spaces for them to enjoy. Bang Bang is also situated next to a dog park, which means guests can enjoy a drink whilst watching their furry friends play. We have plenty of dog bowls as well. Dogs are welcome everywhere in this super dog friendly pub in the heart of Fitzroy! Chef Mischa Tropp brings an unexpected menu to the local corner pub – inspired by his Indian heritage, specifically by the state of Kerala on India’s southwest coast, where his family is from. From stunning Keralan flavours combined with pub classics to more adventures chargrilled duck hearts anyone? 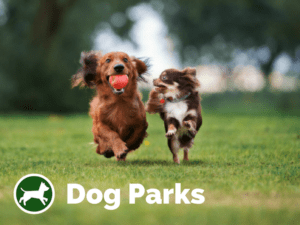 Place to visit for all dog owners & lovers from Fitzroy or even further away! Bar Josephine is a dog friendly bar inside and out, usually have dog treats behind the bar and water bowls in the beer garden. The beer garden has significant cover but isn’t totally covered. Innocent Bystander is a dog friendly winery bar in Healesville. There is an outside section at the front of the venue that is protected from the elements and staff is always happy to organise water for your furry friends. The same complex in the heart of Healesville is also host to another dog friendly venue, Giant Steps. Henry Street Brewhouse is a dog friendly pub / brewery in Kensington. 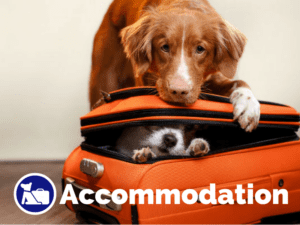 Dogs are allowed everywhere on the premises, inside and outside! Henry Street Brewhouse is a tiny artisan microbrewery in Kensington that prides itself in handcrafting exquisite beers and ales using the finest ingredients, a lot of passion, and even more hard work. If you are ever in the neighbourhood make sure you pop in to try the local beers that are brewed next door, with your dog of course! Dog friendly pub in Prahran welcomes pups in their undercover beer garden. Also doggy water bowls are placed around the area. Dogs are not allowed in the restaurant but they are most welcome in the outdoor area that seats 60 people. It is protected from the elements by a canopy and surrounding glass screen. And yes, there are water bowls available! In this South Melbourne dog friendly bar dogs are allowed in the Beer Garden. It is large and half is undercover, with heaters for winter. The other half is in the sun, perfect for summer. Dog bowls for the four-legged friends are always available. You are likely to be greeted by Billy, the Staffy, The Palace resident pooch. We recommend you to check The Palace particularly on Sundays with your pup!